Atriplex semibaccata (Australian saltbush) is a spreading, shrubby perennial (family Chenopodiaceae). It was introduced as a forage plant in the 1920’s. 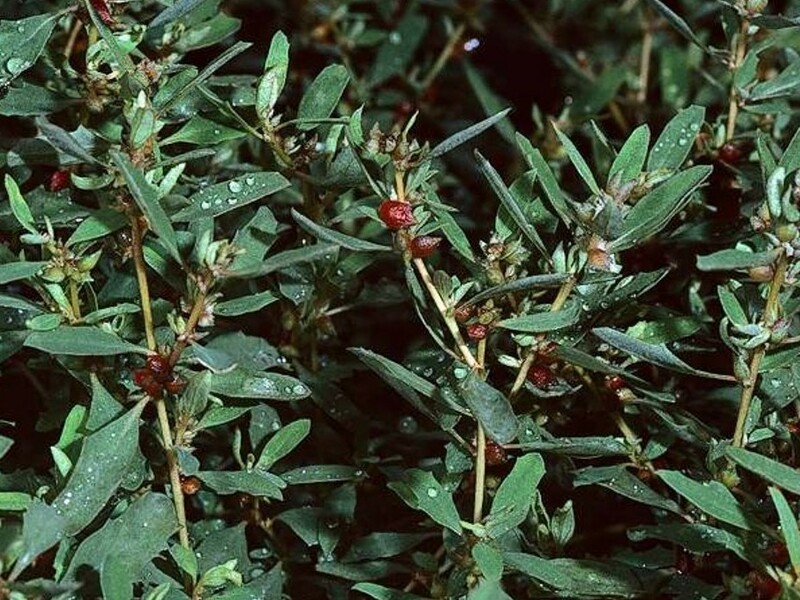 Since then, Australian saltbush has escaped cultivation and is now invasive in coastal grasslands and scrub, and the higher ground of salt marshes.